Properties in Frankton average 4.6 out of 5 stars. 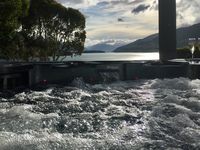 Property 6: Frankton HOT TUB!!! - Location is Everything! Lakefront Apartment | Modern and Comfortable | Great value for money! Property 18: Lakefront Apartment | Modern and Comfortable | Great value for money! Property 19: Waterfront Apartment | Comfortable and modern | Great value for money! Property 20: Waterfront Apartment | Comfortable and modern | Great value for money! Property 21: Waterfront Apartment | Comfortable and modern | Great value for money! Property 22: Waterfront Apartment | Comfortable and modern | Great value for money! Property 27: Waterfront Apartment | Comfortable and modern | Great value for money! Property 31: Waterfront Apartment | Comfortable and modern | Great value for money! Property 36: Lakefront Apartment | Modern and Comfortable | Great value for money! 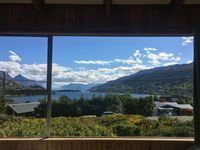 Kawarau View - Close to airport, shopping, cafes & bars. Property 37: Kawarau View - Close to airport, shopping, cafes & bars. Property 40: Waterfront Apartment | Comfortable and modern | Great value for money! Property 46: Lakefront Apartment | Modern and comfortable | Great value for money! Great location for Queenstown and quite except for airplanes going over. Very limited cooking facilities.